Bates, Amy June. Good. Picture book. Sewn binding. Cloth over boards. With dust jacket. 32 p. Contains: Illustrations. Intended for a juvenile audience. 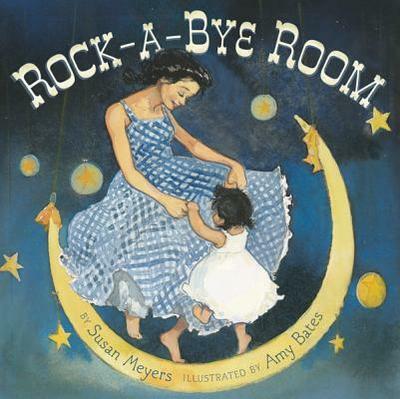 In this timeless bedtime book, a mother soothes her child to sleep with this simple rhyming text as they say goodnight to all the things in her room--a rocking horse, toy box, teddy bear and even the child's pillow and blanket--until it's time for the mother to kiss her goodnight.